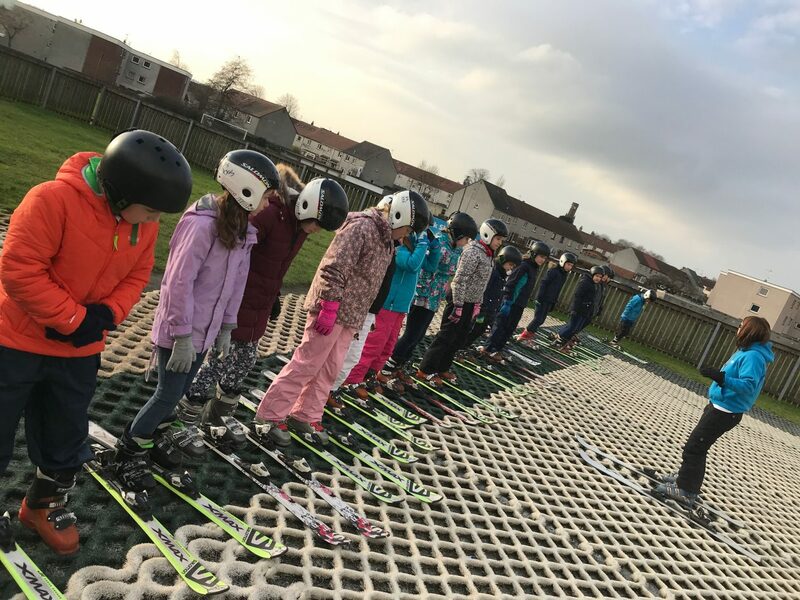 On Wednesday 12th of December and 19th December, P6G went skiing at the Fir park ski centre in Tillicoultry. First we had to get ready by putting on our heavy gear: first the boots, second the helmet, then the skis and last of all, the gloves. After that we all went out to the slope. Some of us had been skiing before, started to ski from the top. An instructor worked with us to see what skills we could develop and gradually introduced markers for us to navigate between on our way down the hill. The beginners began by learned how to side step, plough, and move with their skis in general, because some of them had never skied before. Then we had break and everyone’s legs were aching. After that, everyone went back on the ski slope. Next, the beginners started skiing on the slope, still not using the tow though, so they had the hard challenge of side stepping up the hill a little. After lunch everyone was exhausted, however we kept going to the end. On the second day everyone knew what to do so it hardly took any time at all to get going. We swiftly went onto the slope, starting where we had left the week before. The beginners group (now we could call them the medium group) were really excited as they were able to try using the tow for the first time. They were great at this, even though naturally there were a few falls but everyone bounced straight back up. After break and lunch everyone was a natural and spent the afternoon practising our new skills, building confidence and most of all – having loads of fun! We all came away with a certificate to tell us which level we had achieved, even Miss Guthrie got one! It was an amazing experience and it has let some of us try a sport that we might not have tried before.